In a completely futuristic fashion! 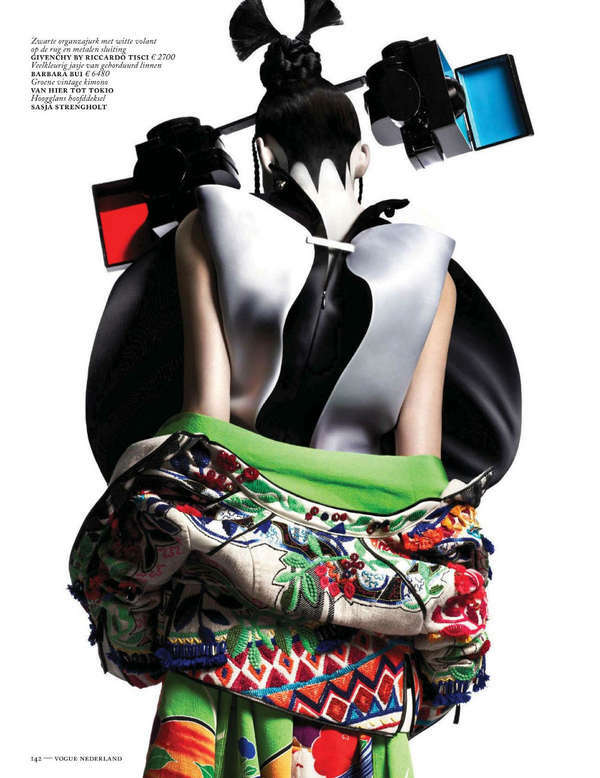 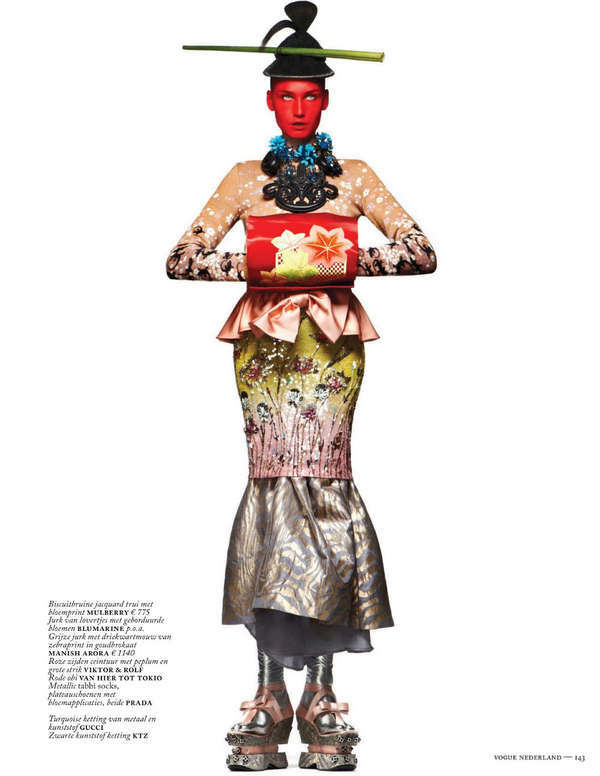 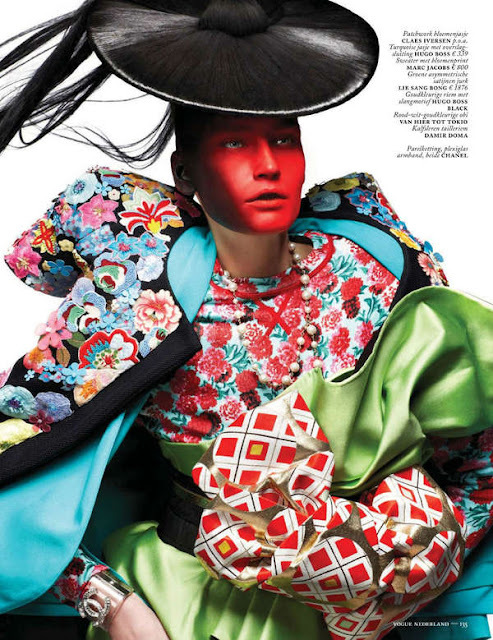 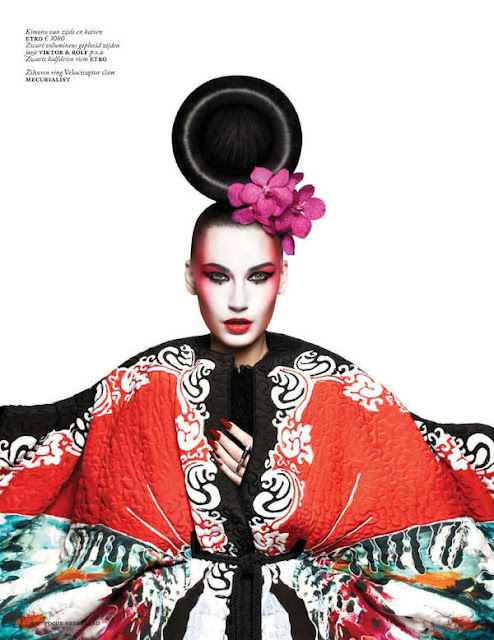 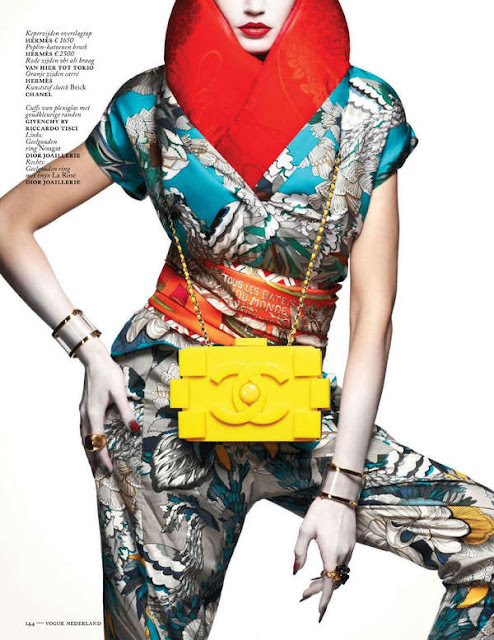 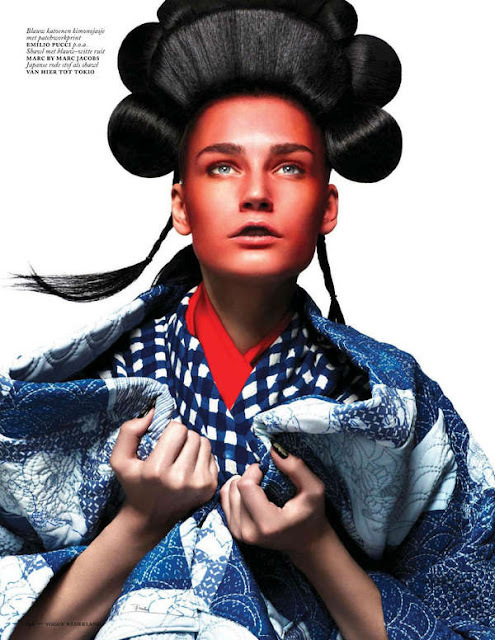 High fashion spread blends with traditional Japanese garments that would be worn by geishas. 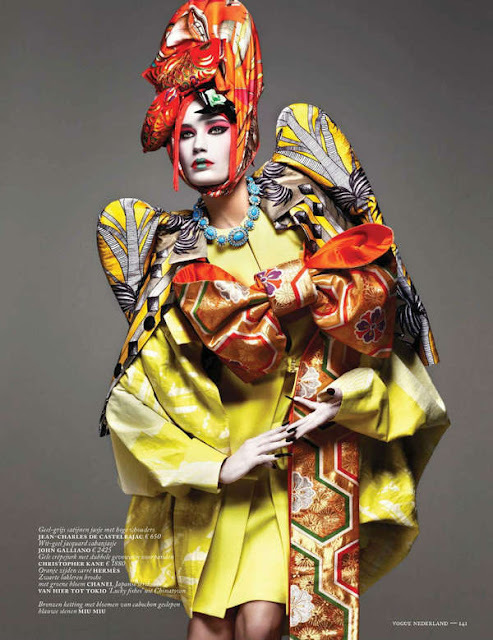 The outfits are created using design pieces from various design houses, but it's the styling that helps transform model, Eugenia Volodina, into a true Asian sight. 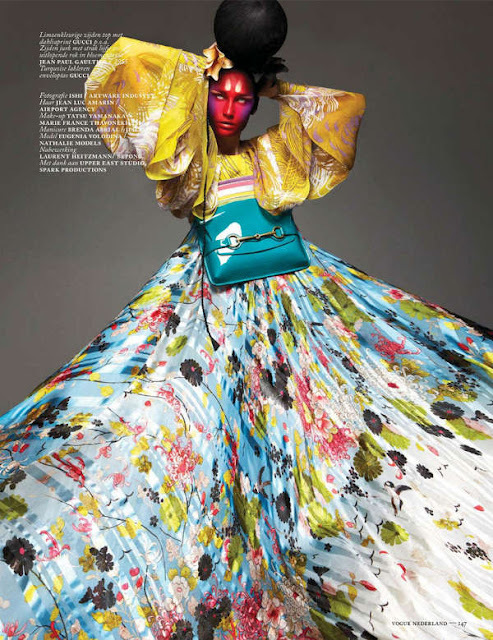 What's more, the looks use vibrant pops of color that help give the traditionally tailored garments a much more dream-like appearance and evolve them from standard to stunning.